It was very nice to meet you! 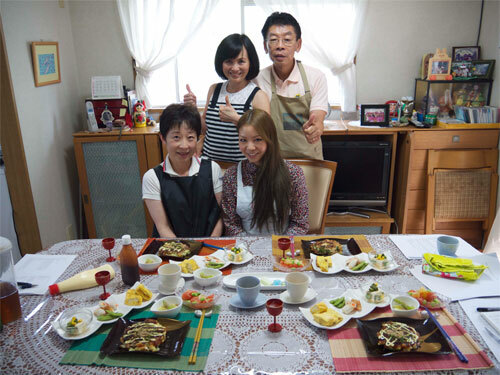 My family and i had a great time cooking in your kitchen and learning about Japanese home cooking. The food was delicious and you are a great ‘sen sei’ ! I have already cooked okonomiyaki on my own here in Australia and it was delicious. I could not find any nagaimo here but the okonomiyaki still turned out pretty well. I’ve been experimenting with new flavours like Kimchi and Pork! I would gladly leave a positive feedback and include some photos for your website. I have also attached some photos in this email for you. 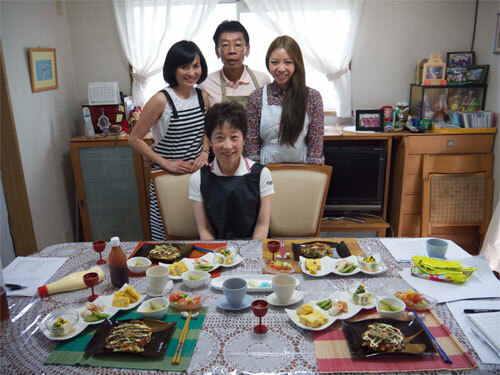 I hope i will be able to go to Osaka again soon and i will definitely contact you and June so we can cook together again!